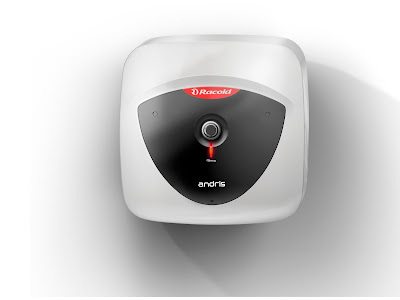 V Ramnath, Managing Director, Ariston Thermo India Private Limited unveiled a new range of electric storage water heaters ‘Andris’ under the brand Racold. Designed by renowned Italian Designer Umberto Palermo, Andris a premium designed water heater is meant to enhance aesthetic of the bath space. The path breaking design is already successful in Vietnam and South East Asia market and is set to be the much awaited product of the year in India. V Ramnath, Managing Director, Ariston Thermo India Private Ltd. said, “There is an emerging trend for designer bathrooms. Bathrooms are no longer just a utility space, just like a house or a living room is an extension of one’s identity and is seen as a reflection of one’s taste, choices and personality. We continue to set benchmarks in the industry by introducing innovative, state-of-the-art technology and aesthetically designed products every year. The new offering bears testimony to our ability of constantly offering innovative and customized solutions based on consumer insights. We continue to invest and look at opportunities on how to expand the category. Our endeavor going forward will be to focus on consumer backed innovation, distribution, after sales service and world class manufacturing”. Andris will be available in capacities of 10, 15 and 25 liters across two variants Andris Lux and Andris Lux Plus. With prices starting from Rs. 7,630 the product will be available for consumers across India.